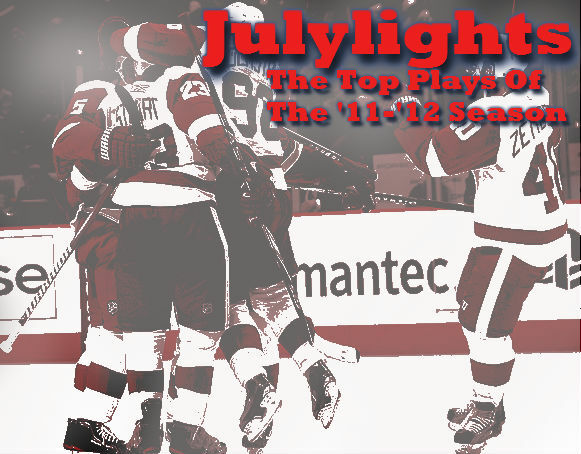 Welcome to Julylights, a month long series taking the top plays of the '11-'12 season and giving them to you one a day, every day of the month of July. Marty Turco is a seasoned vet. He has played in over 500 games, and has won 275 games in his career. However, Turco was not a regular in the NHL last season. He only played in five games for the Boston Bruins, but he made one of the best saves of the season. Jordan Staal picked up the puck off the sideboards with speed. Turco made the first move when he went for the poke check. Staal eluded the stick and seemed to have a for sure goal. But Turco rolled on his back and made a save that some young goalies wouldn't be able to make. Turco is currently a free agent, so if a team is looking for an over the hill goalie that can make a big save or two look no further.